of the media business is at stake in a new auction being planned by the FCC. Here’s an update from today’s Boston Globe. Here is a link to the FCC website (which should have been supplied by the Globe but was not). Here is a pretty good Wikipedia backgrounder (which also should have been a link in the Globe article; Sheesh, don’t they realize they are publishing on the web?). 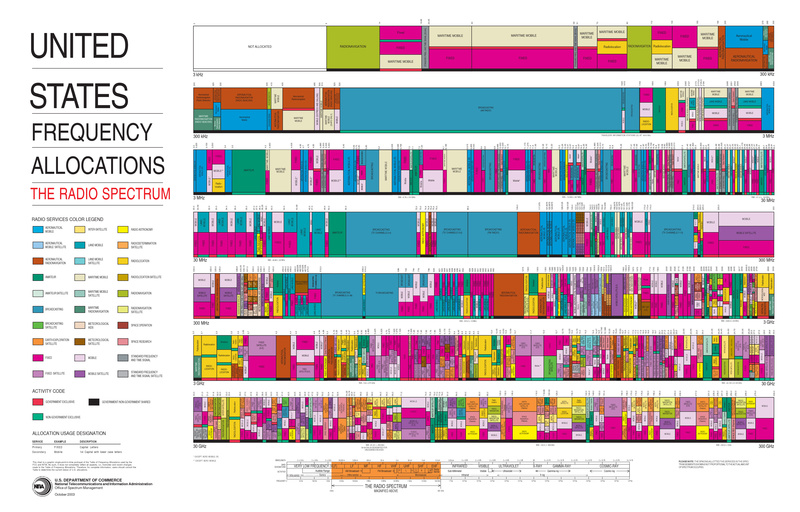 Here’s an incredibly complicated visual rendering of spectrum allocation.